A Michigan mother who chose to forego cancer treatment in order to save her baby’s life has died. Carrie DeKlyen, 37, passed away early Saturday morning, just three days after giving birth to her sixth child, Life Lynn, at 24 weeks pregnant. DeKlyen had been in a coma since July. “Carrie was the most amazing, selfless person I have ever met. We all feel extremely sad right now, but we know we will see her again,” Sonya Nelson, DeKlyen’s sister-in-law, told InsideEdition.com. DeKlyen was diagnosed with glioblastoma, a rapidly growing tumor that can affect the brain and spinal cord, in April. Undergoing chemotherapy would have forced the mother to terminate her sixth pregnancy. DeKlyn reportedly qualified to be in a University of Michigan clinical trial for her cancer that doctors said might have extended her life another 10 to 20 years, however, she and her husband declined because they are Christians and wanted to give their child a chance to live. The couple has five other children that range in age from 2 to 18 years old. Life Lynn was born on Wednesday at 1 pound and 4 ounces. DeKlyen’s feeding and breathing tubes were removed the next day. “Life is doing really good! She is so tiny, but definitely a fighter. 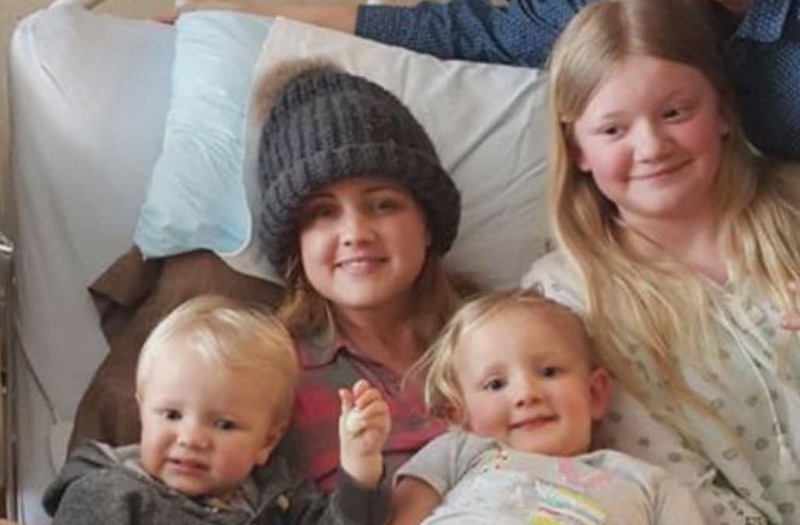 Carrie is off all support and is in her final hours,” the family wrote on the Facebook page “Cure 4 Carrie," before the mom's passing. The family said the baby girl will be in the NICU for four to five months but that they expect her to be healthy.